Finally Everything On One Page! PLUS! We pay our garages direct, so you’re never out of pocket. Where else can you choose any policy for cars up to 12 years / 150,000 miles !?!? Cover Starts Day One - YES! Even for wear and tear! For just a small increase in premium upgrade to 4 STAR to add to the protection and benefits of our 3 STAR Warranty to include cover for parts under clutch, brakes, steering, coil springs, working materials and limited electrical components. 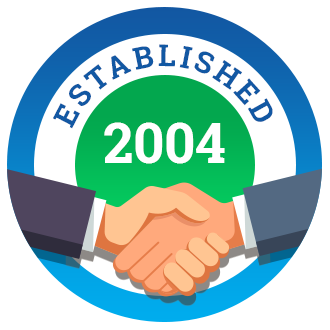 Tried, tested and trusted, for over a decade, from policy creation, Insurance Underwriting, handling claims and customer care, we have worked to be the UK's original, and respected as best of kind. So many warranties... so confused! Unfortunately the internet is littered with unregulated web sites making it hard to find genuine cover you can trust. Click4Warranty only offer insured protection, we guarantee the information on our web site is honest and accurate to make it easy to choose the right warranty protection. Click on any heading for more information. This page offers honest general guidance about the choice of warranty, what's covered and explains benefits and limitations in one easy reference guide. Of course it's not a complete list, the policy terms provide full details and we always recommend you take a moment to read through them. However, we guarantee the information we provide genuinely reflects the policy terms. FCA regulations require a firm wishing to sell or advise general insurance products to be Authorised and Regulated by the Financial Conduct Authority (FCA). We are directly authorised and regulated by the Financial Conduct Authority. You can check this on the FCA’s Register by visiting the Financial Conduct Authority website, which contains a link to a register of all regulated firms, can be visited at www.fca.org.uk. Member of the Financial Services Compensation Scheme (FSCS). If you are unhappy with any aspect of the products or service we provide, you have the right to refer the complaint to the Financial Ombudsman Service who will give an unbiased answer about what’s happened. If the Financial Ombudsman Service (FOS) decide someone’s been treated unfairly, they have legal powers to put things right. All Click4Warranty warranties are an insurance backed policy that provides protection against the cost of parts and labour following the mechanical or electrical failure of an insured part and is supported by the Financial Services Compensation Scheme (FSCS) and protected by the Financial Ombudsman Service. Do I pay more for an Insured Warranty? Not with Click4Warranty. Regrettably consumers are starting to fall foul of web-sites advertising "uninsured plans". The legal doctrine that covers an uninsured plan is "caveat emptor" (let the buyer beware). Do Insured Warranties Take Longer To Settle Claims? No, absolutely not. The Insurer appoints a policy administrator (claims department) who is provided with the Insurers authority to act on their behalf. Unlike small companies who are unable to provide insured cover, this is essential as, when you have many thousands of policy holders, it is totally impractical to consult underwriters on individual claims. The UK’s statutory compensation scheme for customers of authorised financial services firms. The FSCS can pay compensation if a firm is unable, or likely to be unable, to pay claims against it. It is an independent body, set up under the Financial Services and Markets Act 2000 (FSMA), and is funded by a levy on "authorised financial services firms". FSCS is free to consumers and, since 2001, has helped more than 4.5 million people and paid out more than £26 billion. EXAMPLE: On the 28th July 2016, the FSCS declared Enterprise Insurance Company PLC in default, and is working closely with the liquidator to establish the best way to help its policyholders. If the FSCS establishes Enterprise cannot meet the cost of claims made against it, they will protect UK policyholders. We have a duty of care to our policy holders and strive to ensure we are transparent at all times delivering exceptional customer service online and offline. Therefore we take any complaint seriously, if we got it wrong we will put it right. However the final decision doesn't rest with us. If you don't agree with our decision, you have the right to make a complaint to the Financial Ombudsman Service. The Financial Ombudsman Service (FOS) settles disputes between consumers and UK-based businesses providing financial services. They make decisions based on what it believes to be fair and reasonable and it is they that have the final decision, not us or a representative of our company. The service is free to consumers. If you have a partial service history, no proof of service or your car has not been serviced by a VAT registered garage in the last 12 months... No problem! We keep it simple, purchase your policy and ensure you have a service done by a VAT registered garage within 21 days or 500 miles. Your car will be covered the moment the service is completed and we'll only require proof if you have a claim. 1 Change engine oil and filter. 2 Check oil levels in the gearbox and differential and top up where necessary. 3 Check coolant level and anti-freeze/inhibitor strength. Top up where necessary. 4 Check timing belt [if fitted], renew if necessary. 5 Brake fluid must be replaced in accordance with the manufacturer's recommendation. Once on cover, either follow the manufacturers service schedule or the 5 point check at intervals of 6 months or 6,000 miles (whichever is the sooner). 3, 4 and 5 star, whatever the age or mileage of your car, your protection starts day one. This is standard for all our policy holders, no additional premium is required, no 90 day exclusion clause. If the fault is covered, and you have acted within the terms of your policy, your claim will be authorised! All policies cover wear and tear - from day one! Included in the premium, whatever the age, whatever the mileage, without exception, is cover for wear and tear FROM DAY ONE. There is nothing extra to pay. "Wear and tear is the expected gradual reduction or deterioration in operating performance due to the mileage of a car"
Every Click4Warranty includes protection against both "mechanical breakdown" and "wear and tear", so your Click4Warranty policy WILL pay toward the cost of repairs if an insured part fails as a result of "wear and tear". Safety of our policy holders is paramount, so claims will be considered in normal way and we do not expect you to continue driving your car, if an insured part is identified as likely to suffer breakdown by a suitably qualified engineer during MOT. All Click4Warranty policies provide affordable cover toward the cost of mechanical and electrical failure of insured parts, labour and vat for repair or replacement following breakdown of insured parts up to your chosen claim limit. All click4Warranty policies will provide up to £100 toward recovery cost if a breakdown is a result of failure of an insured part and if you do not have cover elsewhere. All Click4Warranty policies include up to 60 days per annum [pro rata] for driving in the Republic of Ireland and mainland Europe for repair or replacement following breakdown of insured parts up to your chosen claim limit. All Click4Warranty policies include car hire. We will pay up to the daily limit in your policy schedule (including VAT) for up to seven days towards the cost of hiring a replacement car. We will only pay for a replacement vehicle if your vehicle is being repaired under the terms of your warranty. We don't pay for a replacement vehicle for the first 24 hours your vehicle is out of use or in respect of any lack of availability of the correct parts or delays the repairer may have in starting the repairs. All Click4Warranty policies include a contribution towards the cost of overnight accommodation if your car cannot be fixed in first 24 hours and breakdown is a result of failure of an insured part and if you do not have cover elsewhere. All Click4Warranty policies include a contribution towards the cost of rail faires if your car cannot be fixed in first 24 hours and breakdown is a result of failure of an insured part and if you do not have cover elsewhere. We have appointed the UK’s leading independent car service and repair network, Halfords Autocentres, as our approved repairer. With more ATA trained mechanics than any other independent garage, and hundreds of repair centres nationwide, Halfords Autocentres can ensure our policy holders receive the same high standard of service throughout the UK. Repairs carried out at the approved repairer are guaranteed for 12 months or 12,000 miles and, whenever possible, we settle the bill with them directly so you aren't out of pocket. Whether your car has covered 1,000 or 150,000 miles, no increase in premium. Why should you be penalised BEFORE making a claim!? If the fault is covered by your policy, and you have acted within the terms of your policy, your claim will be authorised from day one... even if it's due to wear and tear! Click4Warranty policies have no limit on the annual mileage you drive. All Click4Warranty policies can be purchased for one, two or three years. You can make an unlimited number of claims and we will apply the single claim limit to each claim. The maximum amount we will pay "in total" during the term of the policy is set at the Glass's Guide retail value of your car at the time of claim. Whatever age your car, our policies are distinctive because betterment applies only to cars over 60,000 miles. This means if you have a 10 year old, 50,000 mile car - no betterment contribution! If the fault is covered by your policy, and you have acted within the terms of your policy, your claim will be authorised from day one... even if it's due to wear and tear! Repairs are guaranteed for the sooner of 12 months or 12000 miles and the standard claim excess is just £10. You benefit from all the protection of our polices at no extra premium, the standard excess remains at just £10. If you do make a valid claim, a "betterment" contribution is required. Using the head gasket as an example and assume it takes 5 hours to complete the repair. In this example, £700 is the retail cost and amount you would pay for the repair without a Click4Warranty policy. We calculate the betterment percentage depending on the mileage of your vehicle. As you can see, even if your vehicle has covered over 100,000 miles, your contribution would be just £200. A vast saving on the £700 you would have to pay without our policy! We have a duty of care to our customers and work be transparent at all times. Our goal is to provide value for our policy holders and deliver exceptional customer service online and offline. We appreciate however that on occasion we may get it wrong and endeavour to recognise mistakes so they are not repeated to improve our service. If you have any concern about the service we've provided, please follow the complaints procedure to ensure your query is dealt with as efficiently as possible. Whilst Click4Warranty always look to resolve your complaint in the quickest time possible, in accordance with guidelines laid down by the Financial Conduct Authority, we must write to you with a final response to your complaint within eight weeks of receiving your complaint. In deciding whether or not to uphold a complaint, we will consider any relevant guidance published by the Financial Conduct Authority, the Financial Ombudsman Service and any other relevant regulatory guidance previously published. Should you remain unhappy with our final response, you have the right to refer the complaint to the Financial Ombudsman Service. We will provide you with details of the Financial Ombudsman Service, along with a copy of their leaflet ‘Your Complaint and the Ombudsman’ and a statement confirming that an approach can be made to the Financial Ombudsman Service. Thanks to direct and returning customers, we avoid cost of advertising with "partners", newspapers, motoring sites... a cost that increases premium with no benefit to you! We appreciate you may have built up a trust with your tried and tested local garage and, as long as they are vat registered, we do indeed provide the option for you to use your own repairer. However, although you are free to use your preferred repairer, as repairs completed by an independent garage do not affect a vehicles service history, when faced with unexpected breakdown policy holders usually opt to use the approved repairer for fast, convenient and reliable repair. Many policy holders breakdown away from home and their preferred garage. With hundreds of garages throughout the UK, the approved repairer provides fast repairs. The claim technician will locate the nearest approved repairer and liaise with them on your behalf. We will settle authorise claims with the approved repairer directly whenever possible. Repairs carried out by the approved repairer are guaranteed for up to 12 months, so if a repair isn't satisfactory, it is not your responsibility or cost to resolve. "Repairs completed by an independent garage do not affect a vehicles service history"
Click4Warranty stands on the side of the consumer and does not endorse any practice that unjustifiably drives up the cost of repairs. As such the average retail labour rate of our approved repairs is in line with the UK average. When a warranty provider accepts above average hourly rates, the cost will always result in higher premiums for like for like cover and why should you pay more for a warranty because a claim paid £200 an hour to another policy holder!? As you would expect, due to the volume of repairs carried out every week, the policy labour rate substantially discounts the £100 average rate per hour individuals would pay. One more reason why we can offer such affordable protection without compromising cover. When a valid claim is authorised, the labour rate of our approved repairer for the repair or replacement of parts listed in the policy type you selected, (subject to the claim limit) is currently. Repairs carried out at our approved repairer, will cover the hourly labour rate in full if your car has covered less than 60,000 miles. Only if your vehicle has covered over 60,000 miles is a "betterment" contribution required. If you prefer to use your own repairer, the labour content of any claim will be commensurate with the discounted labour rates of our approved repairer, the standard ICME (Institute of Chartered Mechanical Engineers) repair times, subject to the policy type, claim limit and mileage of your vehicle. IF you prefer not to pay in one go, we offer a unique monthly payment facility which allows you to spread the cost of any one, two or three year policy by paying a 20% deposit followed by 9 monthly payments. Your monthly payment is collected on the first working day of each month from your original payment card. Click4Warranty never charge for policy amendments at any time and we give you 21 days to cancel with full refund (assuming of course you haven’t submitted a claim). Drawing attention to important limitations could lead to you looking for an alternative warranty. However, we're confident our policies will stand the test and provide outstanding affordable cover for likely failure. The limitations in our policies are typical across most warranty providers, the Click4Warranty difference is we will never endorse misleading claims or tactical advertising. Our ethical approach means our policy holders stay with us, or return when they are suprised by another providers small print at point of claim! Click4Warranty calculate the labour content of a claim in accordance with the standard ICME (Institute of Chartered Mechanical Engineers) repair times. ICME is used by most leading repairers and warranty companies. On occasions, the ICME repair time include diagnostic. For example parts such as ECU, depending on the fault, could need to be plugged in for diagnostic as part of the repair. In fact, we do include reasonable diagnostics when calculating repair times. However, most people understand diagnostic to be when the repairer has to dismantle the car to find the fault and warranty terms in general will require you to give your permission to carry out any fault finding/diagnosis or dismantling necessary. Not all warranty companies share our ethical approach, check the small print for terms like "Your Plan will pay for diagnostic or dismantling work only if assessed by us as being reasonable within the Repair Cost of a valid repair. It is your responsibility to authorise (at your own expense) any diagnostic or dismantling of any part of your Vehicle." Warranty companies will in their terms require you to undertake a duty of care. This will include your not continuing to drive the car if the vehicle is faulty. That being the case, as to the best of our knowledge it's not possible for your car to overheat with the engine switched off, is it correct to advertise specifically that overheating is covered? For this reason, although we cover the parts listed above, we don't advertise overheating is covered. Items you might replace during routine service such as tyres, brake pads, oil filters/fluid changes, bulbs, etc. There is a betterment contribution for cars over 60,000 miles but not related to the age. Clutch parts are covered, but not if they're burnt or worn out. Grey imports, taxi, courier etc. If cause of a failure isn't apparent diagnostics, but they are included if listed in the ICME mechanical repair times. This is the industry standard comprehensive data providing vehicle manufacturers' recommended repair times. This list is for general guidance only, always refer to policy terms for full details of all policy beneifts and limitations..
any VEHICLE 5000cc or over. Vehicles which are owned temporarily, permanently or in the custody or control of a business set up to sell or service motor vehicles. Vehicles that are or have been used for hire or reward, as a taxi, self drive hire, by a driving school, commercial delivery purposes such as despatch or delivery courier; with a carrying capacity exceeding 35cwt, service vehicles (police, ambulance etc), used for any kind of competitive purposes, off road use, customised or fitted with equipment not approved by the manufacturer. This list is for general guidance only, always refer to policy terms for full details of all policy beneifts and limitations. FAQ: How can I find my nearest approved repair garage? Our approved repairer is Halfords Autocentre. They are the UK's leading MOT, car service, repairs and tyres specialist. With more ATA trained technicians than any other garage and over 240 centres across the UK. Once the repairer has the car, they will call us for authority, complete the work and invoice us. FAQ: Must a Click4Warranty policy be purchased by the car owner? The person named on the V5 (log book / registration document) or The owner of the car. FAQ: Can I buy your warranty if the manufacturers warranty still has a year or two to run? Absolutely yes, now is the perfect time to put your cover in place. By acting now, you’ll be able to buy tomorrows warranty at todays price. Your Click4Warranty policy will start from the date commencing immediately after expiry of the manufacturers' guarantee or warranty period. So it's wise to buy your warranty as early as possible, even when you buy the car. There is no need to advise us of the Manufacturers policy, that will all be taken care of by the service records at point of claim… even if that is in two years time. FAQ: What are your terms for cancellation? In accordance with our terms and conditions, you are fully entitled to cancel your policy and receive a refund in full of the premium paid subject to the following. 1 Your premium has been received in full, or if paying monthly, up to date. 2 We are in receipt of your request within 21 days of the policy being purchased. 3 You have not submitted a claim on the policy by reporting any faults. Should you wish to cancel your policy, we ask that you e-mail your request and, subject to the above conditions being satisfied, the total premium paid will be refunded in full to your original payment card and confirmation provided by email. FAQ: Can I pay monthly? We are delighted to confirm that we offer a unique monthly payment facility which allows you to spread the cost of any one, two or three year policy by paying a 20% deposit followed by 9 monthly payments. Purchase online or, if you prefer, call us on 020 8819 3424. Our consultants are here Monday to Friday 9:30 to 5pm. FAQ: Can I transfer my policy? A warranty is a valuable tool if you decide to sell your car, therefore we are delighted to confirm the warranty may be transferred to the new owner if you decide to sell your car. If you sell your car, and wish to transfer the policy, all you need to do is email us with full details of your policy and the new owners name and address. A £25 contribution from you toward the administration costs will be required, this can be paid by debit or credit card. Conditions do apply, for example we cannot transfer the policy if you sell your car to a motor dealer and the warranty cannot of course be transferred to another vehicle. FAQ: Can I use my own repairing garage? Yes, we are delighted to confirm that you are free to use your own repairer if you prefer to do so. repairer’s retail price for parts, labour times as set out by ICME (Institute of Chartered Mechanical Engineers) and up to the labour rate of our approved repairers Halfords Autocentre (currently 57.60 pounds per hour inside the M25 / 48 pounds per hour outside the M25). FAQ: Do you provide cover for imported cars? Yes, all Click4Warranty policies provide protection for Parallel Import cars (cars that have been produced for a European Member State and that conform to European Wide Type Approval). However. cover is not provided for Grey Imports (a vehicle that does not comply with European Union vehicle type specification and which is imported from outside the UK, usually Japan). FAQ: Do your Warranties cover Wear & Tear? Wear and tear is the expected reduction in performance of a part due to the cars age, mileage and/or use. Many warranty providers exclude wear and tear, even the major ones! This means that even when the part is covered, the provider has the right to refuse the claim as, depending on the mileage, age and/or use, the breakdown can be attributed to wear and tear. Be aware, failure can often be attributed to wear and tear as parts often wear down rather than break. If you really want to protect yourself against rejection of a claim you want a warranty that clearly states in the terms and conditions both “mechanical breakdown” and wear and tear are covered as standard. Click4Warranty includes protection against both mechanical breakdown and wear and tear, so your Click4Warranty policy WILL pay toward the cost of repairs if a part fails as a result of “wear and tear”. Sometimes this means your car is in a better condition than it was before the breakdown. If this is the case we will ask you to pay a contribution toward the cost of repairs. Most warranty providers increase the premium for high mileage cars, exclude wear and tear completely or impose a 90 day exclusion. Click4Warranty does not increase the premium for high mileage cars and we include cover for wear and tear as standard– from day one! Why should a high mileage driver be penalised before they make a claim? We are distinctive and fair in the way we treat high mileage cars. However, if your vehicle has covered more than 60,000 miles it’s not unreasonable to suggest that if, for example, your gearbox was repaired the car is actually in better condition after the repair than it was before. In this instance we would call for a contribution toward the repair costs. For example, if your car has covered 67,000 miles, we would require a 10% contribution i.e. on a Â£350 claim, you would be required to pay just Â£35. As with all aspects of our products and service, we aim to provide clear information. The table below shows the contribution toward the cost of repair you will be required to pay depending on the mileage of your car at point of breakdown. FAQ: Do your warranties cover DSG Gearbox? A direct-shift gearbox, commonly abbreviated to DSG, is an electronically controlled dual-clutch multiple-shaft manual gearbox, in a transaxle design without a conventional clutch pedal. In simple terms, a DSG is two separate manual gearboxes (and clutches), contained within one housing, and working as one unit. Subject to your chosen policy limits, your Click4Warranty policy will pay toward the costs of parts and labour for repair or replacement of listed components of the gearbox cover, however your policy excludes DSG specific components. FAQ: Do your warranties cover SMG Gearbox? Unfortunately as an SMG gearbox is not a standard automatic or manual gearbox, it is precluded from the protection of our Click4Warranty policies. FAQ: Do your warranties cover consequential loss or damage? Firstly lets explain what consequential loss or damage means. It’s a term used to mean damage to a previously fully functioning part caused by another part, object or debris. All Click4Warranty policies DO provide cover if a LISTED PART (insured component) breaks causes a previously fully functioning LISTED PART (insured component) to fail. Listed parts (insured components) are not covered if they are damaged by an uninsured part and, as with all warranty insurance, uninsured parts are never covered as a result of any consequential loss or damage. FAQ: Do your warranties cover tyres, wheels, bodywork, paintwork or glass? The Click4Warranty Mechanical Breakdown Insurance is designed to pay towards the costs of parts and labor for repairs following the actual and sudden mechanical failure of a part causing a sudden stoppage of its function and which necessitates repair or replacement to resume those functions. As such our policies don’t cover vehicle structure (eg bodywork, paintwork, glass, wheels, tyres etc.) Please see policy terms and conditions for a full listing of these exclusions. We do however appreciate that many manufacturers give unique names to components, so if our chart doesn’t provide a clear answer to your question please reply to this email with your specific requirement and we will do our best to research and provide an answer for you as soon as possible. FAQ: Does the cost of 4x4 cover differ on 3, 4 and 5 Star Warranties? Click4Warranty offer one Mechanical Breakdown Insurance Policy, with one clear set of terms and benefits. It's just part of our commitment to providing a simple solution to warranty requirements. The star rating indicates the extent of components that are insured. As the name would suggest, the 5 star policy offers the most comprehensive cover with the highest number of insured components. Click the link "INSURED PARTS" at the top of this page for a full and complete listing of insured components under our 3, 4 and 5 star policies. FAQ: Does your warranty cover the Vanos Unit? Unfortunately the Vanos Unit is not a listed component under the terms of our warranty cover and therefore, any claim relating to this part will not be authorised. Unlike many warranty providers, we steer away from broad statements about the parts covered by our policies. The statement ‘all mechanical and electrical components’ means you need to laboriously work out what really is excluded. Instead, you will see our terms and conditions comprehensively list the insured parts and, quite simply, if a part isn’t listed it isn’t covered. FAQ: Does your warranty cover the dual mass flywheel? We are delighted to confirm that the dual mass flywheel is a listed component on the Click4Warranty 3, 4 and 5 Star policies. Unlike many warranty providers, we steer away from broad statements about the parts covered by our policies. To describe cover as ‘all mechanical and electrical components’ really means that, if you want to be sure a part is covered, you need to laboriously work out what really is excluded. Instead, you will see our terms and conditions comprehensively list the insured parts and, quite simply, if a part isn’t listed it isn’t covered... If it is listed, then the part is covered! If you require further clarification please email us with your specific requirements and we will do our best to research and provide an answer for you as soon as possible. FAQ: Does your warranty cover the cost of diagnosis? Diagnostics are paid when included in the ICME repair time. The ICME is the Institute of Chartered Mechanical Engineers. For the majority of common repairs, the ICME assign an individual repair time for how long that particular repair should take. If the diagnostics are included in this repair time, then they would also be covered as part of your claim. FAQ: How soon can I make a claim? Click4Warranty have no hidden clauses imposing waiting periods. Your car is covered from day one and you can submit a valid claim immediately after inception of the policy. Some other companies don't pay for a breakdown that occurs in the first 30, 60 or even 90 days of cover! This means a 12 month policy may only provide cover for as little as 9 months! Worth checking the small print. Please note that in the unlikely event your claim is within the first 30 days and in relation to the ecu, air-conditioning and electrical system, an additional excess will apply. This additional excess applies for the first 30 days only. FAQ: How can I unsubscribe from your newsletters? If you wish to unsubscribe from the newsletter please use the unsubscribe link at the top right hand side of each newsletter. The unsubscribe link allows you to instantly unsubscribe and will remove you from our newsletter mailing list. FAQ: Is the Subaru Impreza P1 covered by your warranties? The Subaru Impreza P1/WRX models are excluded from cover under the Click4Warranty policy terms. FAQ: Is the catalytic converter covered under the terms of your warranties? Unfortunately, the catalityc converter is not a listed component under the terms of our warranty cover and therefore any claim relating to this part will not be authorised. Unlike many warranty providers, we steer away from broad statements about the parts covered by our policies. To describe cover as all mechanical and electrical components really means that, if you want to be sure a part is covered, you need to laboriously work out what really is excluded. Instead, you will see our terms and conditions comprehensively list the insured parts and, quite simply, if a part isnt listed it isnt covered... If it is listed, then the part is covered! FAQ: Is the claim limit chosen for the whole term or per claim? Click4Warranty provide a choice of three claim limits... £3,000, £5,000 and £7,000. Whichever the amount chosen, this represents the maximum amount that can be claimed for each breakdown. The amount of claims that can be made is unlimited. Please note also, that the total amount that will be settled during the course of the policy term is the Glass's Guide retail value of the car. FAQ: Is there a mileage limit on the warranty policy? The Click4Warranty Mechanical Breakdown Insurance is suitable for cars that have covered up to 150,000 miles. Most warranty providers increase the premium for high mileage cars, Click4Warranty does not. Why should a high mileage driver be penalised before they make a claim? We are distinctive and fair in the way we treat high mileage cars. However, if your vehicle has covered more than 60,000 miles it’s not unreasonable to suggest that if, for example, your gearbox was repaired the car is actually in better condition after the repair than it was before. In this instance we would call for a contribution toward the repair costs. For example, if your car has covered 67,000 miles, we would require a 10% contribution i.e. on a £350 claim, you would be required to pay just £35. FAQ: Do your warranties cover LPG vehicles? Click4Warranty policies do not cover for any part of LPG systems and if an LPG part damages an insured component a claim will not be accepted; if an insured part fails and damages an LPG component the LPG part cannot be claimed. In other words, we can offer warranties on these cars, but claims would not be accepted for any consequential damage to the LPG system cause by the failure of an insured part or for damage to an insured part where an LPG component was deemed to be the cause of the failure. FAQ: Must my car have a full service history? If the service history for your car is missing or incomplete your vehicle is not excluded from cover. Simply ensure a service is carried out within 21 days or 500 miles of the policy start date. FAQ: What is the claims process? To get you back on the road as quickly and simply as possible, everything is processed over the phone. Autoprotect (MBI) Limited have been appointed by the Insurer to deal with all administrative matters relating to your policy and claims handling so if you believe your car may have developed a fault simply call the claims administrator as soon as possible on 01279 456501. The claims specialist will let you know where your nearest repairer is, all you need to do is choose a convenient time and book your car in. The approved repairer is Halfords Autocentre, who are the UK's leading MOT, car service, repairs and tyres specialist. With more ATA trained technicians than any other garage and over 240 centres across the UK. Wherever possible, to avoid your being out of pocket, we’ll settle authorised claims directly with the repairer. If possible check to make sure the part that has failed is covered by the warranty. Call us at the first opportunity if you believe you may need to make a claim. Don't ask the repairer to notify us of a claim, this must be done by you. Always get an authorisation number from us before you allow any work to be started otherwise you may invalidate your claim. Make sure you have your schedule and service records available for the repairing garage. You are of course free to use your own repairer. Simply contact the Administrator for authority before work starts. We will pay up to a reasonable vat registered repairer’s retail price for parts, labour times as set out by ICME (Institute of Chartered Mechanical Engineers).and up to the labour rate of our approved repairers Nationwide Autocentre (currently 57.60 pounds per hour inside the M25 / 48.00 pounds per hour outside the M25). FAQ: What are the Geographical Limits of your policies? FAQ: What do I do in event of a claim or suspected part failure? If you believe your car may have developed a fault, please call the claims administrator as soon as possible on 01279 456501. To get you back on the road as quickly and simply as possible, everything is processed over the phone. FAQ: What happens if I break-down and need a hire car? Being stranded without the use of a car is a major inconvenience. So our Warranty includes free car hire in the event of a breakdown for up to 7 days while your car is being repaired. Obviously certain conditions apply, such as it must be a valid claim and you need approval from us before you claim. All the conditions are clearly listed in section 5 of our Terms and Conditions. IPT stand for Insurance Premium Tax. This is a government tax introduced 1st October 1994 and applies to general insurance policies including motor, household, medical, income replacement, travel and other protection cover. We are delighted to confirm that all our quoted premiums include IPT. FAQ: What parts are insured under the terms of your warranties? Unlike many other providers, rather than making ambiguous statements like all mechanical and electrical components we prefer to provide a clear, comprehensive list of insured parts. With Click4Warranty you don't need to study an exclusions list to work out what the warranty won't pay for. The link INSURED PARTS at the top of this page provides a simple chart that clearly lists the components insured under our 3, 4 and 5 star policies. We do however appreciate that many manufacturers give unique names to components, so if our chart doesn't provide a clear answer to your question please e-mail email@click4warranty.co.uk with your specific question and we will do our best to research and provide a clear answer for you as soon as possible. FAQ: Why should I choose to buy my policy from you rather than another online provider? Together with our specialist UK motor related insurance partner, Red Sands Insurance Company (Europe) Ltd, we design bespoke policies for the discriminating online buyer who is looking for quality, value, protection and service. We believe we are the first and only online warranty provider to share clear, accurate, balanced facts within one page "AT A GLANCE" to simplify your choice of warranty. Click4Warranty offer just one Mechanical Breakdown Insurance Policy, with one clear set of terms and conditions. All insured components are clearly stated. It's all part of our commitment to providing you with a simple solution to your warranty requirements. The star rating indicates the extent of parts that are covered. At Click4Warranty you will achieve an accurate quote in seconds with a clear list of parts covered. Our one policy approach ensures you need only refer to one document when selecting the best cover for you. *Financial Services Compensation Scheme (FSCS). If we are unable, or likely to be unable to pay a claim, the FSCS can pay you compensation. It is worth noting that this facility is available only when a firm is regulated by the UK’s financial watchdog, the Financial Conduct Authority (FCA). We are FCA registered and regulated, our FCA Registered number is 461102.